Carl-Peter Forster, the car boss who helped drive Jaguar Land Rover back into the black from the depths of recession, has taken the helm at Coventry&apos;s London Taxi Company. Mr Forster, who stepped down as chief executive at Tata Motors in September 2011, has been unveiled as chairman of the Chinese-owned producer of the world-famous London Black Cab. Mr Forster is a senior adviser to the firm&apos;s parent company, Zhejiang Geely Holding Group, and has been a member of the board of both Volvo Cars Corporation and Geely Automobile Holdings since 2013. Zhejiang Geely Holding Group rescued the London Taxi Company from administration in February 2013, restarting production of black cabs six months later. Mr Forster has previously held senior positions at major automotive manufacturers such as BMW and GM Europe, where he was in charge of Opel and Saab operations. He is best known in the West Midlands for his spell at Tata Motors, where, as Global Group Chief Executive Officer, he was also responsible for Jaguar Land Rover. 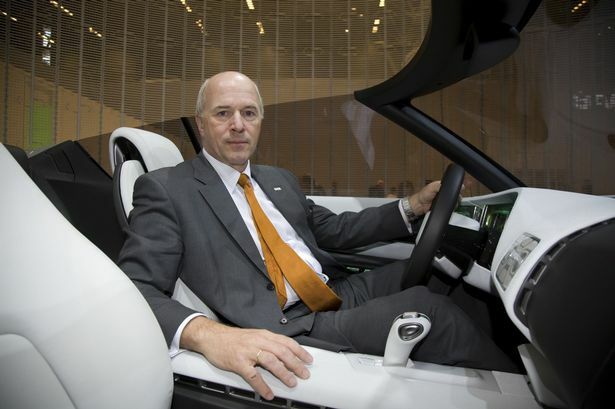 He left suddenly in September 2011, citing ‘unavoidable personal circumstances.&apos; He had previously been credited, along with fellow German Ralf Speth, with turning around the fortunes of JLR, reversing vast losses into profits with a range of new models and creating thousands of new jobs. Peter Johansen, London Taxi Company&apos;s Vice President of UK Operations, said: "We&apos;re absolutely delighted that Carl-Peter Forster has agreed to become Chairman of the Board. The appointment of someone with his track record is a big boost for our business and testament to the commitment Geely is placing in the company since it acquired us in 2013." Carl-Peter Forster said: "The London Black Cab is a British icon, with a global reach. Under Geely&apos;s ownership the London Taxi Company has the potential for a bright future. "The company is transitioning into a new era of innovative products for the taxi trade and commercial operators across the UK and the world. I&apos;m looking forward to working with the management team as we move forward and develop this world famous brand and concept."